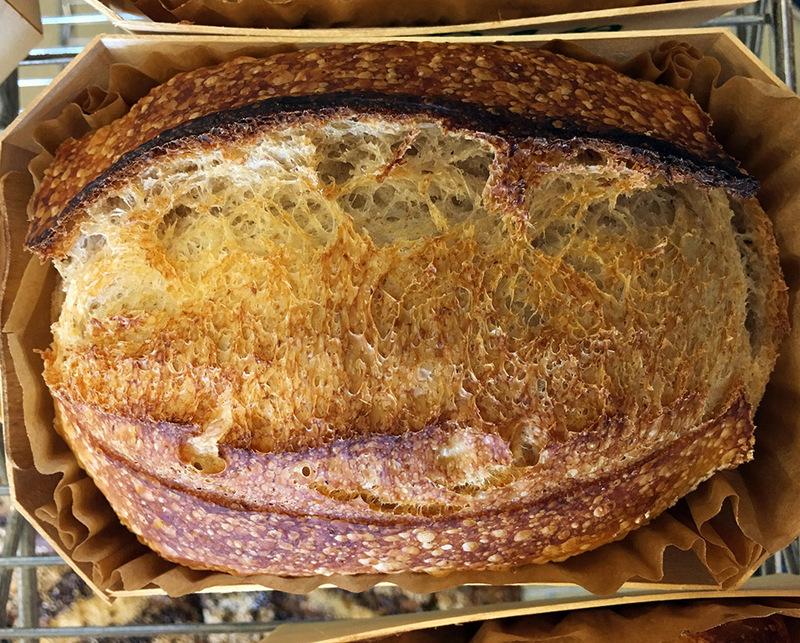 Today, you can find a huge variety of breads on supermarket shelves, only a few of which are called “sourdough.” For most of human history, though, any bread that wasn’t flat was sourdough—that is, it was leavened with a wild community of microbes. And yet we know surprisingly little about the microbes responsible for raising sourdough bread, not to mention making it more nutritious and delicious than bread made with commercial yeast. For starters, where do the fungi and bacteria in a sourdough starter come from? Are they in the water or the flour? Do they come from the baker’s hands? Or perhaps they’re just floating around in the foggy air, as the bakers of San Francisco firmly believe? 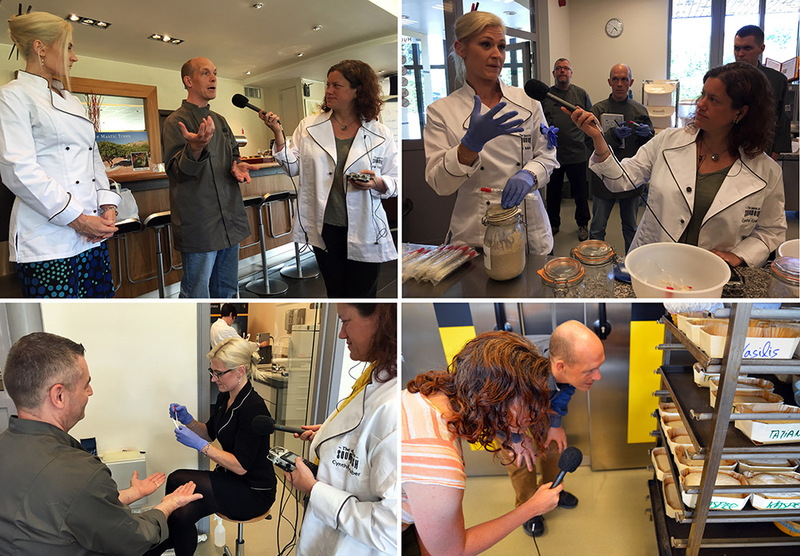 This episode, Cynthia and Nicky go to Belgium with two researchers, fifteen bakers, and quite a few microbes for a three-day science experiment designed to answer this question once and for all. Listen in for our exclusive scoop on the secrets of sourdough. No one knows how or when humans first figured out that if you mixed mashed-up grains and water and let them sit for a while, you got a bubbling beige goo that you could use to make beer or raise bread. (No one even knows whether humans went for the booze or the bread first, although Nicky is firmly on Team Booze.) Historians and archaeologists speculate that the first bread would have been fluffy and spongey, something like the injera that is still eaten in Ethiopia today. Despite the microbes, it would likely have still been quite flat, because the fermented ground grain-and-water mix would have been cooked simply by pouring it on a rock—there’s evidence that humans were grinding sorghum, an African grain, long before pottery was invented in which to bake the shaped dough into a loaf. Sourdough starters in the Puratos Sourdough Library. Photo by Nicola Twilley. Karl de Smedt and Cynthia in the Sourdough Library at Puratos Center for Bread Flavour. Photo by Nicola Twilley. But once Louis Pasteur explained yeast’s role in fermentation using his new compound microscope in the 1850s, sourdough’s popularity slumped. Sourdough was finicky, unreliable, and slow; commercial baker’s yeast, which was first sold by the Fleischmann brothers just eleven years after Pasteur first published his discoveries, worked well enough, and it provided the same rapid results every time. By the 1960s, sourdough had all but been forgotten. In this episode, we trace its revival, but also reveal how science, which initially gave us boring baker’s yeast, is now uncovering the secrets of sourdough. Scientists Anne Madden and Rob Dunn (1) introducing the experiment, (2) swabbing the sourdough starters, (3) swabbing baker Paul Barker’s hands, and (4) peeking at the unbaked loaves. Photos by Nicola Twilley. Microbiologists Rob Dunn and Anne Madden allowed us to accompany them to Belgium for their ground-breaking experiment to discover where the microbes in a sourdough culture come from. 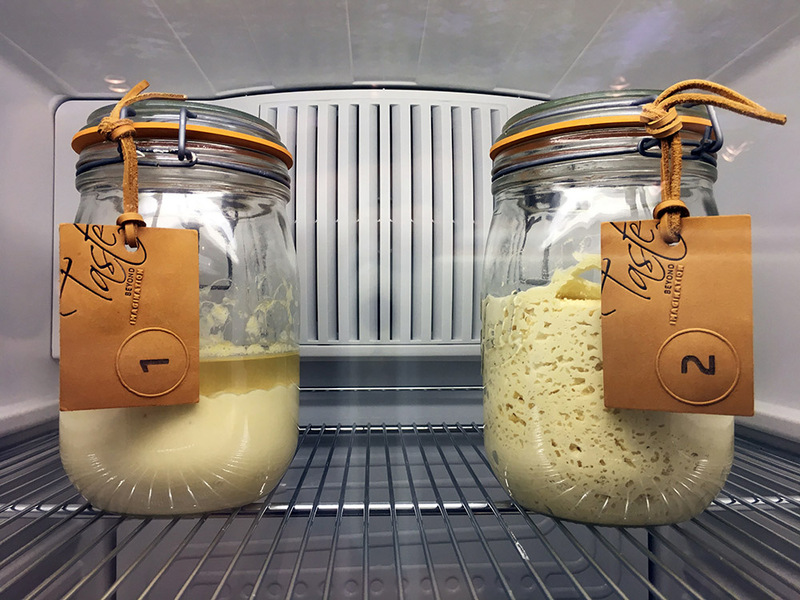 While there, we visit the world’s first and only Sourdough Library, learn how the microbes in sourdough improves the texture, flavor, and nutritional quality of bread, and eat our body weight in baked goods. And then, the results! Why do bakers have “sourdough paws”? What is so special about Australian starters? And where do all those microbes actually come from? All that and more this episode: listen in now! Kasper’s Danish Dynamite starter; Tom gives Cynthia a sniff of his starter. Photos by Nicola Twilley. Check out the eyeliner on Tom’s loaf! Photo by Nicola Twilley. 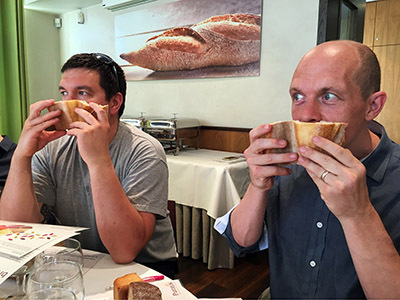 The bakers and Rob Dunn, sniffing bread. Photos by Nicola Twilley. Rob Dunn’s lab at North Carolina State University aims “to tell the stories of the small species–whether on our bodies, under our beds or in our backyards–humans interact with every day but tend to ignore.” Their Sourdough Project is coordinated and led by Anne Madden, a post-doc in Dunn’s lab, and involves collaborations with Gastropod’s own in-house microbiologist, Ben Wolfe, at Tufts University, as well as many others. They have already posted the results of their big sourdough sampling project online here. Puratos is a bakery supply company headquartered in Belgium. 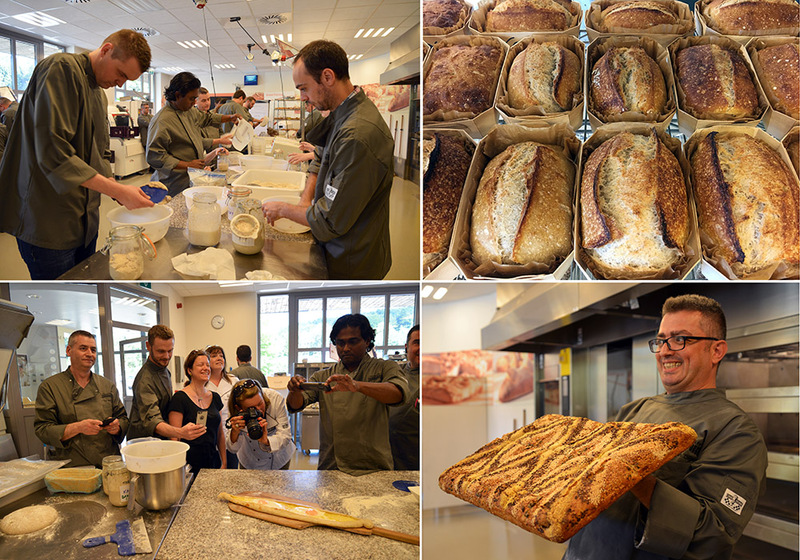 It generously hosted this three-day sourdough experiment at its Center for Bread Flavour in the small town of Sankt Vith, near Liège. 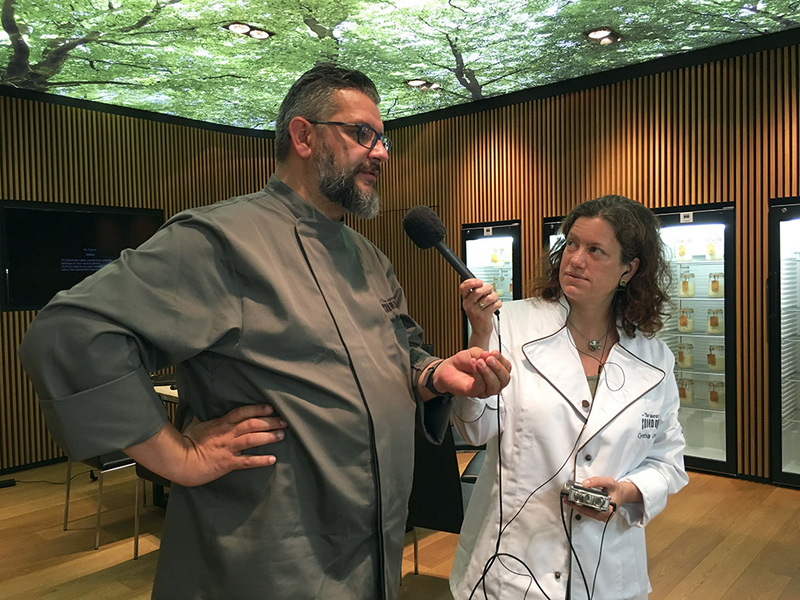 Karl de Smedt, who also manages training and communications at Puratos, launched the Puratos Sourdough Library in 2013: it’s the largest collection of of sourdough starter microbial diversity in the world. You can take a virtual tour on the Puratos website here. We need at least 500 more you to participate to reach our goal! The way this works, the more of you who get your friends to subscribe to the show, the better the rewards will be. In fact, if 500 more of you participate, you all get a super-cool, exclusive, bonus compilation of our favorite Gastropod moments—including the outtakes that we left on the cutting room floor! So do us a favor and do your friends a favor and do yourself a favor all at the same time: get them to subscribe to Gastropod, send us the five names—just first name is fine — and hey presto, we’ll get you the goods. (1) Bakers baking using the same ingredients and protocol, (2) their very different finished loaves, (3) playtime! Hakan’s cheesy egg bread gets papped, (4) more recreational baking: Hakan shows off a fancy seed design. Photos by Nicola Twilley. The post Secrets of Sourdough appeared first on Gastropod.